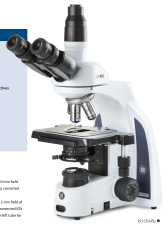 Binocular and trinocular head microscopes with infinity corrected objectives, rackless stages and halogen/LED illumination interchangeability. Ideal as a step up as it allows additional objectives, polarising filters, phase contrast outfits and darkfield condensers to be added. 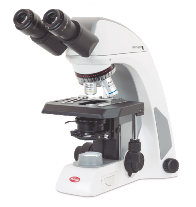 Phase contrast, darkfield and simple polarising applications plus a wide range of optics and accessories for most routine laboratory applications. 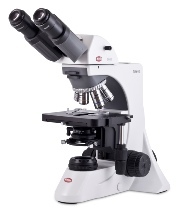 For more demanding laboratory work, the all new BA410Elite gives trouble free use and high quality imaging. The new ‘SMART’ series from Motic with models featuring full in-built digital systems offering WIFI, LAN, HDMI and USB connection. Higher quality range of objectives and lot more. 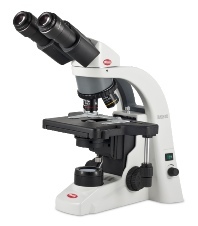 Ideal routine microscope for smaller labs that still need a reliable and good quality microscope. LED illumination, plan optics (Brightfield and phase contrast versions) and good mechanical performance. 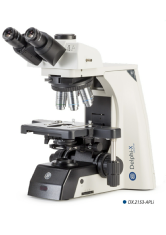 The Delphi-X Observer’s design provides more comfort and convenience for professional microscopist. Super efficient LED lighting. 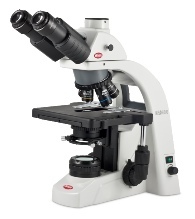 Excellent optics, Ergo heads and a wide range of accessories.